If you need replacement parts for your industrial machinery, it might be helpful to better understand the difference between helical gears and spur gears. Here’s a brief overview to help you out. If you have any questions, you can always give REMPCO a call. 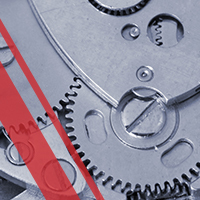 Our technical department is used to answering questions and creating customized solutions, and they’ll be happy to clear up any confusion you might be experiencing regarding when to use helical gears and when to use spur gears. The most obvious similarity is that they’re both gears! Cost-effective and highly efficient, they’re actually among the most common gears you’ll find, and in certain applications, they can be used interchangeably without any issues. But this isn’t the case for all applications. 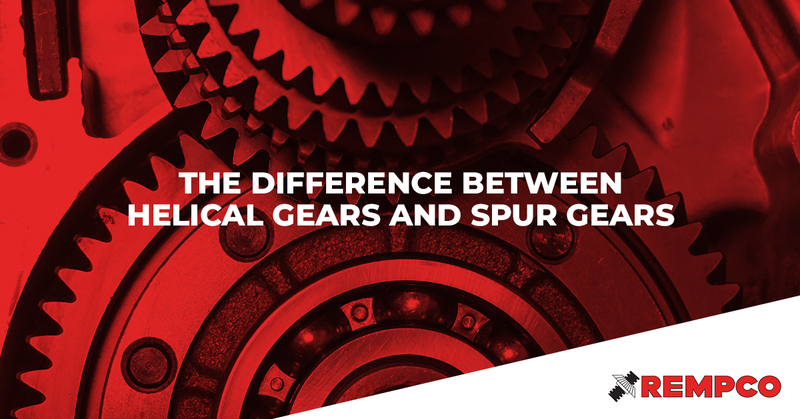 Spur gears have straight teeth parallel to the gear’s axis. Being the simplest gears to design, spur gears are easier to manufacture and consequently, tend to be more competitively priced. Spur gears can be useful in generating a great deal of power. Slower speeds are better for spur gear applications. Helical gears have teeth set at an angle to the gear’s axis. A more gradual teeth engagement means that helical gears operate more quietly. Because of more tooth strength, helical gears can carry higher loads. A helical gear is able to transmute power between shafts that are parallel or non-parallel. Now that you know some of the basic differences between the two types of gears, let’s move on to typical applications. What about spur gears — where are they used? The answer is that they’re utilized pretty much everywhere in industrial machinery applications! You probably still have some questions regarding which type of gears would work best in your specific application. Why not pick up the phone and call REMPCO? We are here to help you choose the right replacement parts and answer your technical questions, to your satisfaction. Reach out to us today!